I turned 30 last summer, and as the milestone approached, I started to notice some changes in myself. It now takes me way longer to get over a hangover, and I’d rather stay in than go out most nights. I also find comfortable looks much more appealing than I ever did before. More specifically, I find myself reaching more often for what our mothers (or grandmothers) might call sensible shoes. For the majority of my life, I’ve always felt my most fashionable when wearing a great pair of heels, so I started to wonder if I’ve become lazier or just given up on caring how I look. But thankfully, just before I had a full-blown midlife crisis, the spring 2018 shows began, and I noticed flat shoes popping up on practically every runway. There were jewel-encrusted flat slingbacks at Badgley Mischka, New Balance sneakers at Zimmermann and rainbow slides at Tory Burch. At each show, I spotted silhouette after silhouette of chic yet practical shoes traipsing by. That’s when I realized I no longer have to choose between style and comfort while shoe shopping. After decades of women teetering around in sky-high stilettos, designers are finally producing chic options that can be worn for hours without inducing pain or misery. The fact that flats are now officially on trend and not something you should feel obligated to change out of once you arrive at your destination gave me the idea to try going a month without wearing heels. After putting my feet through more than 15 years of what can basically be described as abuse, they definitely deserve a rest. In fact, the last time I can remember not wearing heels for at least a few days out of the week was thanks to two stress fractures in my right foot in college. I hadn’t realized I hurt it that badly because I’d grown so used to having foot pain. I actually continued to wear heels on nights out for two weeks before I went to the podiatrist, who informed me it was broken (oops). I had to wear a boot for the entire summer of 2008 — not cute. But now, I actually look forward to ditching my heels because it’s my choice and not something that was forced upon me. 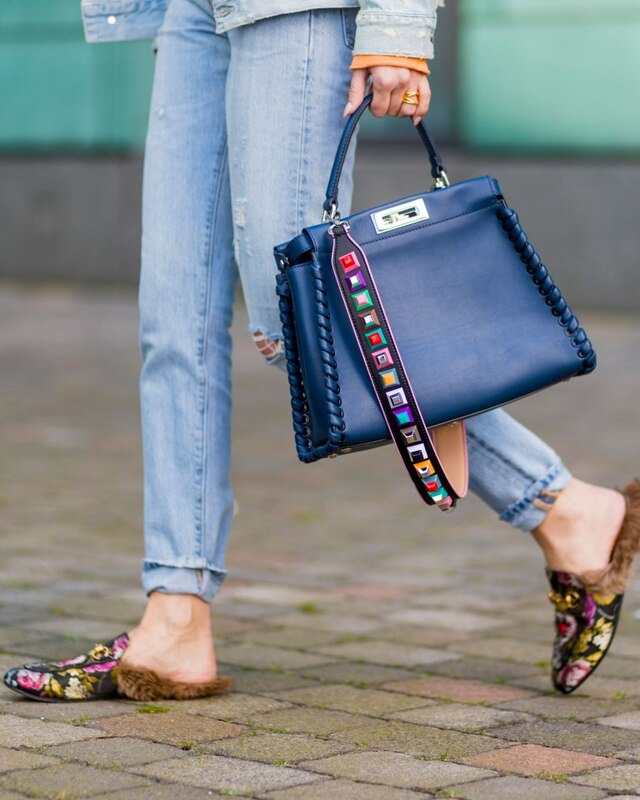 Soon, Gucci loafers, Repetto ballerinas and Jenni Kayne mules made their way into my daily rotation; meanwhile, my Stuart Weitzman Nudist heels and Schutz pointed pumps were banished to the back of my closet. 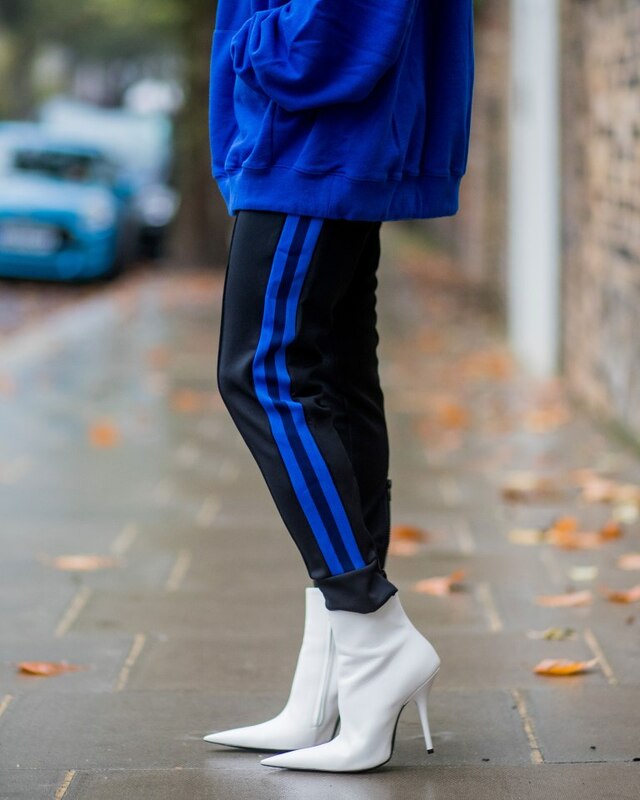 I’ve even embraced the athleisure trend and started wearing sporty Nikes and crisp white Adidas with my fanciest outfits — something I would never have dared to try before. While I used to feel powerful with added height, I find myself feeling more confident in the comfortable looks than I ever did even in my most towering heels, perhaps because I’m more at ease with myself now that I’m older and more mature or maybe because I’m no longer feeling the blinding pain and numbness platforms and pumps often brought to my soles. Since making the change, not only have my feet been thanking me for saving them from pain, but my back has too. I stand 5 feet, 9 inches barefoot, while the majority of my friends hover under the 5-foot, 4-inch mark. Now that I’ve ditched heels, I no longer find myself hunched over at bars trying to hear what they’re saying. I easily made it to my goal of a heel-free month, so I decided to do it again for another 30 days, and then another. It’s been almost five months since I’ve slipped into my favorite pair of heels, and I don’t have even the faintest urge to put them on anytime soon. Will I ever wear heels again? Probably. I’m sure there will be a special occasion that will make me want to pull a pair out of retirement. But for right now, I’m happy staying grounded in my flats.